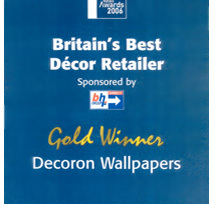 At Decoron, we understand that as consumers you may not always find the design and colour of wallpaper you are looking for from the large range of wallpapers available in store. Our large and comprehensive pattern book library offers collections from the leading brands in wallpaper, including designer brands, is carefully selected to further enhance the range of designs we have in store. 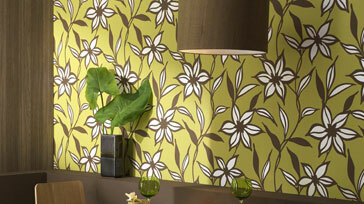 In addition to the vast array of wallpaper designs that the books offer, we also offer collections that incorporate coordinating fabrics suitable for soft furnishings, giving you the opportunity to create a tasteful coordinated look to your room. Understanding that it is sometimes difficult visualizing patterns and colours with the furnishings in the room you are decorating from our showroom, we offer a pattern book loan service, enabling you to choose in the comfort of the room you are planning to decorate. All of our pattern books are competitively priced through the discounts we offer and any orders placed from pattern books are generally available next working day subject to availability. 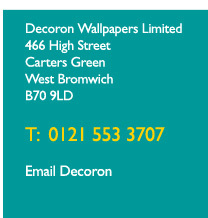 If you are trying to locate particular wallpaper, or maybe you require a competitive quote, please use our contact page with your request.